MOD. : ZDM 86 C - 418 CC 10 HP. 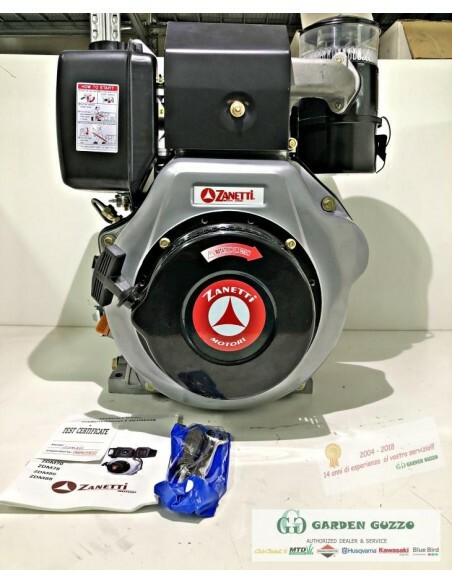 MOTORE DIESEL COMPLETO ZANETTI MOD. : ZDM 86 C - 418 CC; 10 HP. ALBERO CONICO DIAM. 23. UTILIZZABILE SU MOTOCOLTIVATORI; MOTOZAPPE; MOTOFALCIATRICI. MOTORE DIESEL ZANETTI COMPLETO 10 HP; ALBERO ORRIZZONTALE. Peso a secco. : 48 KG.